Electric fence (like these here) is a good thing to have to keep your horses, livestock and wild pests out of crops and other off-limits areas. You can certainly use solar fence chargers; however, one easy way to keep your electric fence charged is to hook it up with to 12V car batteries in a parallel manner. Doing this doubles the amount of time that you have before you need to recharge your fence. In this article, we provide simple, step-by-step instructions to help you set up an electric fence using two 12V car batteries. Read on to learn more. 2. To hook up your fence charger, begin by putting two 12V batteries side-by-side in a protected area adjacent to your electric fence controller. Set the batteries up in such a way that the positive terminals and negative terminals are on the same sides adjacent to one another. 3. Next you will connect battery cables to the positive terminals of both 12V batteries. Use an adjustable wrench to tighten up the terminal bolts on both batteries. 4. Repeat the third step with another battery cable and the negative terminals of both batteries. 5. Take a good look at the power wires extending from the fence controller. Some power wires already have alligator clamps on both the red wires and the black wires. On some models, you will need to install alligator clamps. If you need to install the clamps, you must first loosen up the screws on the alligator clamps using a flat headed screwdriver. Put the tips of the wire into the loosened clamps and then tighten the screws back up on both the red wires (positive) and the black wires (negative). 6. Connect one battery. Open the negative alligator clamp and place it on to the closest negative battery terminal. Repeat this process with the positive alligator clamp and the nearest positive terminal. 7. When you press your fence controller’s ON button, you should see a red light flashing every few seconds to indicate that your fence is now powered. 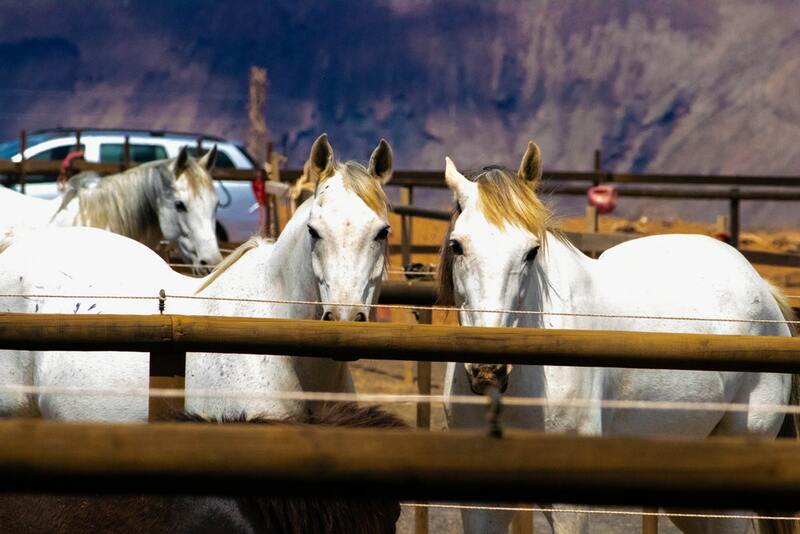 Although you will surely want to turn on your electric fence as soon as you can to prevent horses from entering off-limits areas, be sure to observe all safety precautions. Double check to be sure that all of your wires are secured before you turn on your fence. Make sure no vegetation or other stray objects are touching the fence. Take great care not to touch your live wires. For the best results, place your electric wires at close intervals to keep both small animals and large animals out of the forbidden area. Begin with a wire at 3 inches from the ground top that off with one at 6 inches, another at 10 inches, another 20 inches and the top wire at 30 inches. Another alternative is to use electric poultry netting.